In light of the recent launch of Mario Kart 8 Deluxe, we at Nintendo Life have been reminiscing about the celebrated history of the Mario Kart series. From the SNES to the new Nintendo Switch, Mario Kart has provided players around the globe with countless hours of shell-tossing entertainment. In this retrospective video, we'll take a look back at every title in the series and discuss how each one advanced the beloved franchise. Let us know in the comments below which of these titles is your favourite! Haven't watched the video, but Mario Kart 8 Deluxe has got to be one of the best in the series right now. The only thing that could make it better would be to make its balloon battle mode the same as 64. Plus we need blockfort! I almost bought either the DS or 3DS games then I thought it could have only become worst in that aspect. So, no racing game from after the 64bits times for me. -_-"
Great video! I totally forgot you could unlock the original courses in Super Circuit. MK8 Deluxe is the best MK game so far. With Double Dash being the second best. Although I haven't played GBAs Super Circuit, which remains the only MK game that I haven't played. Gotta say that my favorite in the series is Double Dash for the Gamecube. It's a great series, but I honestly wish that they would keep everything from the previous ones and continue building onto it for each console. There's still more that they could do to it, and adding more of their franchise characters would be a great fit...plus, maybe do the Smash thing and start adding other companies IP's to the franchise too! Wow, a decent NL video. You guys are upping your game it seems. All these years, and the original is still the most difficult one at 150cc... I preferred Diddy Kong Racing over Mario Kart, to be honest, but MK64 does hold a special place in my heart. MK Wii was probably the most balanced one for a while, but MK8D seems set to take the top position. Too bad it still doesn't have block fort! That would have cemented it as the best for battle mode! 1. 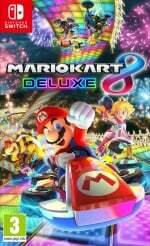 Mario Kart 8 Deluxe. Best of All ! 3. Mario Kart Wii. It looks great on my HD TV via Wii U, but still lack of customization. heh. chum. a fish reference. belongs in splatoon. it's so ironic that a game that focuses, amplifies, and embodies the spirit of racing FUN, that is mario kart, can be the source of so much rage, frustration & anger at the same time. I thought Super Mario Kart started off as a third party game and Nintendo bought it and redid the sprites? MK8D followed by Double Dash, here. For anyone too young to remember DD was met with derision at the time as was Wind Waker. Had the most fun with MK64 due to the time and place in my life when it released. Freshman year of college, in the dorms, my friend had an empty room next to his room. We made a "door" to the empty room via the partition wall in his closet, and set up our own Kart/Smash theater room. Just a tv on a stand, a 64, and some folding chairs. Eight to ten of us would race four player for hours. Last place gave up the stick. The wait to get back in felt like an eternity. So much fun. Why is it that so many people here have Double Dash as favourite? I think it's the worst in the series, by far. Not a bad game at all, just I find every other MK game much better. I think the courses are dull, and too wide. And I think that the 2 characters per kart thing should have been a optional mode, not the only mode. I think MK8 is the best, followed by 7 and 64. I did not enjoy the original SNES Super Mario Kart at all and I did not play another entry in the series until Mario Kart Wii. But I easily put more hours into MK Wii than any other Wii game by far. I think the gliders really slows down the flow of the newer games and it does not add anything to game play. And in the newest version, there are just way too many custom options for the vehicles. Some customizing is just fine, Mario Kart Wii is Perfect. But there is a point where too many options become overwhelming. Sometimes simple is better. And I miss the risk reward of the bikes wheelies. Mario kart 64. I still play it. I love the item distribution. I probably had the most fun and put the most hours into mk64 however as a general all rounder mk8d tops them all. Even though I happen to dislike Super Mario Kart and Super Circuit, I still think this series is great and I do like it how this game became a legacy throughout these years. I mean, I wouldn't have known what a racing game was if it weren't for Mario Kart. Please Nintendo...keep this series alive until the end of time. Anyways, my favorite has to be 64. Even today, that game is still fun to play and is very well balanced in its controls and everything else. Nowadays, the series' gameplay is a little too chaotic for me and in some cases, that's a good thing. I love all the games so it's hard to pick a favourite. I've only recently tried 8 Deluxe and Double Dash is the only entry I haven't tried. I think I've had the most fun with DS in single player and online with the Wii. If I had to pick a favourite, I definitely have the most fun memories with Double Dash which I still enjoy till today (but definitely MK8 is very close to overtaking it). What just pushes it over the line is the creativity I felt in that game and how it did a lot right that Nintendo never really repeated. In MK8, I never had a moment where I strategically chose my character like I did in Double Dash. Their specials really made me enjoy the game so much more and changed how I played the game a lot. Being able to swap characters also meant you could swap items and save items for when you needed them and I wish they had included that in MK8D. While all my friends where hanging out in the casino on a cruise ship I spent most my time playing MK GP arcade stomping little kids as Pacman. Was a ton of fun. I like Mario Kart Wii the best ^.^ it has my favourite stages (Maple Treeway, Mushroom Gorge, Wario's Gold Mine) I adore it's version of Rainbow Road! I still like to go back and play my copy, it's so fun. Desperately awaiting the day Nintendo gets their act together and brings back two characters per kart. @Dandalfa00 Maybe MK9 will be like a Double Dash style follow up? That would be amazing. No "Hello there, lovely people! It's A..."?... oooooooh. I don't know why nintendo decided to remove certain features from MK8(D) like the boost when you fall off track. @Rei Super Circuit is great with the tracks, they are an improvement over the SMK ones and they don't feel that long. Plus SC had all the SMK tracks. I felt they made a return in Mk8, which I didn't care for. Mk wii has been my favourite to date. Mk 7 was a tad barren. Mario Kart Wii is the most unbalanced one. MK8 (and Deluxe) are easily the best version (s? ), previously my favourite was 64, though the DS & 3DS were very strong entries. Wii was fun but very unbalanced. Never played the arcade games, need to get Dolphin on my WiiU and try them properly. Defo Snes all the way for me!! Great handling and tight tracks are a winner!!! Mastering cornering with each character was a challenge! Toad was always my fave!! Well balanced! Really wish someone would crack the rom open and create an 8 player online version of the original Snes game!!! 8 players, no rubberbanding ... thats the dream!!! Special mention to Battlemode course 4!!! Used to play that till the small hours with my best pal!!! all this does is remind me to blame Mario Kart Wii for motion controls, bikes, and playable miis. TERRIBLE. Original Super Mario Kart will always be #1, though I got a lot of joy from DD, Wii and 8. The Mission Mode on DS was a great idea that they should revisit. 64 was always my least favourite, the tracks felt too empty, the graphics lack the usual charm, and I cleared all the GPs in 24 hrs without breaking a sweat. Super Circuit also felt a little uninspired, but half the problem there was I never had anyone for multiplayer on that game. 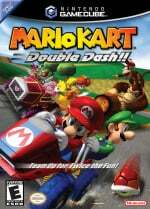 I loved Double-Dash cuz I could be Luigi AND baby Luigi on the LUIGI kart. That some serious Luigi. It's a shame only the original Mario Kart has the tight tracks and handling that made me fall in love with the series in the first place. None of the sequels have this, they all opt for larger, wider, less technically skilled tracks. The GBA version is probably the closest to the original, due to how close the GBA hardware was to the SNES I suppose. I enjoy Mario Kart 8, but it's still nothing compared to the original, which was always about skill and only allowed one set of items per lap. And no blue shell! That alone makes it the best and most fair for me. @fluggy There's a very good chance that going to happen.The online service that starts in fall will have a NES/SNES games each month with added online.I'd imagine Super Mario Kart will be one of the first. I'm so happy you have someone new doing videos! I honestly couldn't stand "hello all you lovely people" anymore. I'm sure Alex has his fans, but I'm glad he's no longer exclusive. Unpopular opinion: I wasn't able to enjoy Mario Kart games until 7 which doesn't seem to be really popular with people. For me, that game would be perfect if it had some kind of story campaign or missions. Still, I have a blast with that game and I finally feel like a decent player. Is a nintendolife video where you're not greeted by "Hello there lovely people" really a nintendolife video....? Go for DS, tracks are narrower, or at least feel so. @samuelvictor I think it has to do with timing. If you look at the three franchises you name, you can make the argument that the most lauded entries in each franchise (to that point) were released on the N64. Nintendo goes and completely does something different with each on the Gamecube and you have the derision among the gaming community on those games. I didn't really appreciate the series until Mario Kart Wii. I had played other Mario Kart games before, and I still am sometimes talked into trying the older Mario Karts but they always feel underdeveloped. The offerings of MK Wii though really pulled me in, and despite how unbalanced the characters and vehicles were, the actual driving felt very good compared to earlier Mario Karts, and the items and track designs, while a little chaotic, were very fair. I like Mario Kart 8 a lot too. I think it has by far the best driving and vehicle balance, but I think they went to far with the items, coins, and air gliding sections. None of these ideas fit well with each other, and combine into a very punishing system that I feel makes the game incredibly less fair and more random. It's still a very good time though, and with friends, it's a blast. I'd say online functionality was a letdown, but I know you can't expect much from a Nintendo game in that regard. @UmbreonsPapa I agree, but personally I was always open minded towards them, just never warmed to them for some reason, despite trying to give them a fair chance multiple times over the years. I see many people on here who love them though, so I realise they are't bad games, just not to my taste. The best version objectively is Double Dash. Two characters are better then one! We need a Triple Trouble or something, three players, one handles gas and breaks, one handles steering, one handles items. too much? Personally I don't really like 64 as I've never felt comfortable with the steering, even to this day, idk why. I do think it had the best battle courses though, I wish Block Fortress and Skyscraper came back for 8D. Not as many as I thought there would be. This is hardly a "complete" history. There are several times that you failed to mention important new features that were brought to each new game. @ShadJV The only problem I have with "Double Dash" is the overly complicated way to gain a drift boost. It does offer an automatic transmission mode to help make up for it, but you can't get the second level drift boosts while using it. Otherwise, I agree that "Double Dash is one of the best in the series (second best to MK8 Deluxe, in my opinion). As the video says, it introduced kart choices and expanded the character roster, but that's just the tip of the iceberg. The dual kart mechanic is a lot of fun, allows 4 human players to play Grand Prix [something that only MK8 (Deluxe) also allows, while MK Wii doesn't allow Grand Prix multiplayer at all], and gives you a cool sideswipe move when two human players ride the same kart. Of course, there are the double item boxes that only MK8 Deluxe also has. It has mostly excellent course designs and good gameplay balance (unlike MK Wii on both counts). It has excellent graphics and sound for the GameCube that have aged well. It along with MK64 have easily the best Battle Modes in the entire series. Finally, it's the only Mario Kart game to date that features character-specific special items and All Cup Tour. I really like this trip down memory lane! Fun times, for sure! I probably played Funky Daisy Rosalina Bike Wii-... uhh, I mean Mario Kart Wii the most out of all the games in the series, and I loved the bike mechanics in that game. While admittedly off-balance with the rest of the game, they[the bikes] felt like you were controlling actual bikes, unlike the following games that have them where they just drive like thinner karts. Mario Kart DS probably had the absolute best battle mode, in my opinion. It would have been perfect, had you been able to transform into the bomb kart from Mario Kart 64 after losing. Nothing like getting that revenge shot(or not, if you collided with a star-powered character). Drift boosting/mini-turbos first appeared, not in Mario Kart 64, but in the very first Super Mario Kart game. I have to say, it's difficult to tell that you actually get a mini-turbo in that game, because your kart engine revs up only slightly, and you go ever so slightly faster than your normal speed. There's no other indicator, other than what I mentioned above. @BulbasaurusRex agree with all of that. I especially loved character specific items. It made character selection feel more meaningful than just weight. 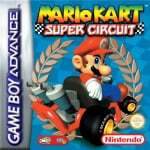 I had a blast with Mario Kart Super Circuit, me and my buddy's would link up on our Gameboy Advance's for some 4 player action every morning before class. Also single cart play was a great way to share the game, I believe the DS version you could do the same thing in sharing the game on a single chart as well. Also at the time Mario Kart Super Circuit was visually stunning at the time and played great, it feels like a fusion of Super Mario Kart and Mario Kart 64. I would also like to see Mission Mode from Mario Kart DS to make a comeback, it was super fun. Mk8 is the first time I have thought this may be better than the original SNES game. Just pure fun. @NewAdvent Wait for 9, don't waste you money. Next month there are new IPs. @Fandabidozi Yes, and I still don't like it. Wind Waker a bit more, but no. @kingc8 Do you mean that they started to reduce the tracks wideness ? @Gridatttack I played the Super Circuit of my brother because of the old tracks, but it made my impression of newer Mario Kart having too wide tracks even bigger because all the old tracks seemed wider than ever. Maybe I didn't played it enough to see the good sides of it. @Gold_Ranger Thanks for the word, I phrased my critic badly. Wider was what I meant with "larger" (the worst being the 64 episode whose tracks were also quite empty). And you made me realize I also missed the coins gathering. @Rei Tracks were too wide in MK 64 and now in MK8, in my opinion. It's funny, but (for me) while each incarnation of MK has impressed, my favourite still has to be SMK (SNES). Honourable mentions go to MKDS and MK8. A truly stellar series. This is how you do a franchise right over multiple consoles generations. Edit: Now, where the **** is the next amazing F-Zero game! @PlywoodStick I would love to see a proper sequel to Diddy Kong Racing. There's still stuff in that game that simply hasn't been touched by any racer since, kart racer or otherwise. @Niinbendo That's what I imagine most of us are hoping for (with all of Nintendo's classic games and franchises). The only thing standing in the way of it happening is Nintendo--and, sadly, I think it might never get the **** out of its own way. 25 years and still improving. MK8D represents the series (current) pinnacle. Double Dash the weakest IMHO while 64 doesn't stand up well these days. If MK9 could include some proper AI instead of rubber banding that would be top of my request list. As it says in the video, its beginnings was as an F-Zero multiplayer prototype. And F-Zero was always a Nintendo in-house property. Maybe you're thinking of some other game? Starfox came about in a way you describe, and multiple franchise games later in Nintendo's have been reskinned 3rd-party projects. If you're thinking of Mario Bros. 2, that was indeed a different game with Mario sprites injected for the western release, but it was still a Nintendo game from the beginning. @Pod I honestly remember reading in the 90s it's beginnings were a third party racer that Nintendo liked so much they bought it. Maybe they reskinned it with F-Zero first before Mario'ing it up, but it was a game Nintendo bought. That's interesting in that case. Someone outside Nintendo would have had to have an impressive prototype ready very early in the SNES's life for that to have worked out. @electrolite77 The rubber band AI isn't as bad as Fast RMX at least. 1. Transformable vehicles. Imagine from Scooter change into Motorbike or Racing Car change into ATV, etc. Before you play, you set your 1st vehicle as Main vehicle and 2nd vehicle as Transformation. The older features from past games still carried on the games from Flipping in the air, Gliding & Anti Gravity. 2. More customization for vehicles. Boring with Red color for Mario vehicles ? You can edit specifically from Wheel, Bumper, Body, etc. So you can have Mario riding Wario color vehicles or up to your desire. 3. More costumes alternatives for same characters. Mario can be dressed up like Fire Mario / Ice Mario / Cat Mario / Tanooki Mario / Metallic Mario / etc. Mii also take a part. More customization for Mii from clothing, facial, voices, weight, greeting, some personal identity card like ACNL. Amiibo support also available. 4. Time setting for ALL tracks, so imagine when you play some Circuit tracks in different time. One at day and one at night. 5. Ability to create Our OWN circuit tracks like TrackMania PS4. We can create from ZERO, upload to Internet and challenge other players. 6. Multiple Modes. So we will not boring by doing Racing only, some Modes offers different gameplay that involved vehicles to play like Party Mode, Battle Mode, Co-Operate Mode, etc. MK DS the best. Best courses, most balanced and actually had a game in it. It was a decent challenge and had a mission mode, whereas everything since has been a stroll, with 8 Deluxe the biggest disappointment. 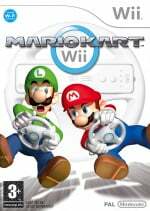 I loved DD because of the random kart and character selection. It made it easy and fair to experiment rather than everyone sticking to their favorites. It should be in all versions. MK7 my next best, with MK Wii one of the worst because of constant chaos due to 12 racers and too many powerful weapons. MK 64 I grew to hate because of the roving random bombs on the road. Thankfully the first and last time we saw that moronic idea. PS: Check Pros and Cons on "warrior factor" blog for more about 8 Deluxe. Mario Kart 64 is the best! @Gold_Ranger would you like those kids to stay off your lawn too? @ProjectCafe Good point- gameplay wise, DS was the pinnacle at that time period. But there must have been some reason for MK Wii to be one of the best selling games of all time, no? In my case, MK Wii was the second most fun I've had with the series, with MK64 being first, since I played that with childhood friends. The original and still the best, original Snes version for me. That and street fighter started multiplayer gaming, sitting in the same room multiplayer will always be the best kind. That was a fine video, congrats! I always loved Mario Kart, the most recent one obviously is the best. 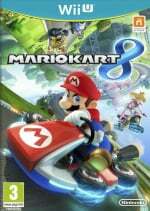 The only thing they could add to the package of MK8D is a decent single-player campaign. I miss something like Diddy Kong Racing, where the great racing mechanics were complemented by a fun single-player experience. Hey, something needs to be new about Mario Kart 9, right? My wife and I loved Diddy Kong racing and that tease by Rare for the Donkey Kong Racing game before they ditched Nintendo... still stings a bit. So, Mario Kart 9 could have more franchises inserted into the game and that could be the great excuse for the Adventure Mode where you travel from world to world: Hyrule, Animal Crossing town, Inkopolis, Donkey Kong Island, SR388, Mute City, Corneria, etc. Hmm... so Star Fox vehicles, and Samus' gunship... why not throw in flying races while I'm dreaming and let's do some wave race as well. Hehe, let me know what you dig out! Uhm... Because it was for the Wii. And because you could steer with a flippin' wheel. Really take in just how much broader that makes the audience. I grew up with that game too. And because of it, now I have excellent driving skills. I'm a big fan of the series, but I must admit some of the games I haven't played that much. My favorite ones are Mario Kart DS, Mario Kart 7 and Mario Kart 8, maybe because these are the ones I spent most time with. Everyone has different tastes, but it surprises me that people has so fond memories of MK 64, still today. I mean the game was terribly fun to play back in the 90s with 3 more human players, but let's face it: it has aged not so well, and nowadays is difficult to play. Those huge polygons don't impress us much today. However, the first Super Mario Kart, being 2D, is still nice to watch and play. Double Dash and Super Circuit are the entries that I know less about, because I bought them after their time and I was actually playing the then newest ones. I have never seen the arcade versions anywhere. I would love to play those ones. I wonder if those would ever get ported over to the Switch. I am guessing not very likely but if Nintendo could ever do that I am sure I am not the only one who would be interested in getting them. @gokev13 Maybe I shouldn't talk about that, but weren't they emulated relatively well in recent years? @Rei I did read that they were emulated after I posted my comment. I haven't emulated for a long time and generally don't like to. It is unfortunate though when it is probably the only way I will get to play games that I otherwise would be willing to pay for. Though I did watch some videos on youtube and the games seem quite a bit different than the console versions and I am not sure if it is a good different or not. @Janus1986 Haha, indeed. Thanks for taking the short trip with me.